Tablets take over Text Books!! #theEduGrid!!! Tablets are supported by most teachers and students, are much lighter than print textbooks, and improve standardized test scores. 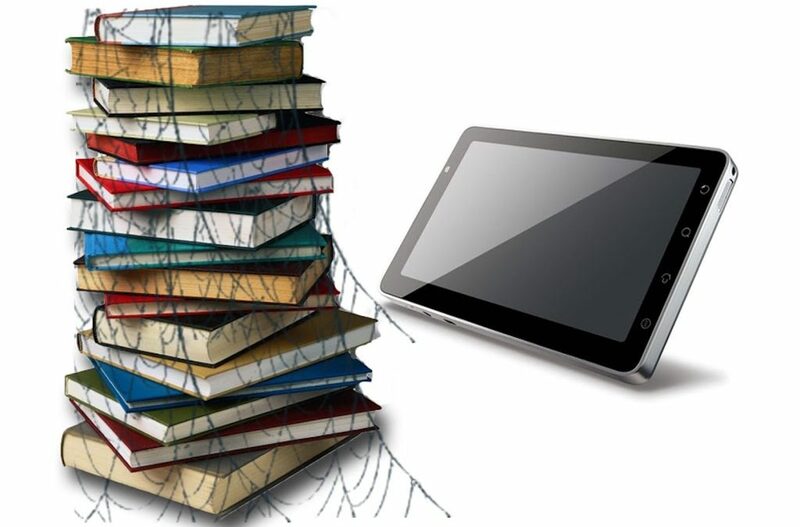 Tablets can hold hundreds of textbooks, save the environment by lowering the amount of printing, increase student interactivity and creativity, and that digital textbooks are cheaper than print textbooks. Remember the regular day at school? Lugging a heavy backpack? Today, students arrive in their classrooms, switch on their tablets log onto the school’s secured network and check whether there are any messages or notes shared by their teachers at the click of a button. Scientific studies have shown that school going students should carry less than 15% of its own weight. If we weigh the school bag of a sixth grade student or a tenth grade student, with a day’s textbooks in it the weight is far more than what it permissible. It results in back pain problems and fatigue after school. A tablet would reduce the burden of carrying all the thick textbooks that add to the weight of their backpack. The Innovative Educator, EduGrid acts as a textbook, easily the largest hub for education content out there and it is going to be a new learning experience for students, and educators. It provides Integrated content and learning management, Efficient course planning for and by students, Mobile content management for teachers and administrators, Content delivered in various formats along with complete analytics on assessments and Student profiling and computer aided tutoring! It provides teachers with lesson plans to better integrate technology in the classroom.With EduGrid, the classroom wont be limited by four walls anymore! EduGrid’s features like blocking apps, scheduling, and notifications can monitor any device on your network, and are also a particularly effective form of parental controls. Pick EduGrid, and be prepared to learn what tech integration really means in the classroom.